January is a usually the month when a lot of people kick off their diets. But before any diet it is very important to do some detox. And this is why I am here with a recipe for green detox juice that you will love! 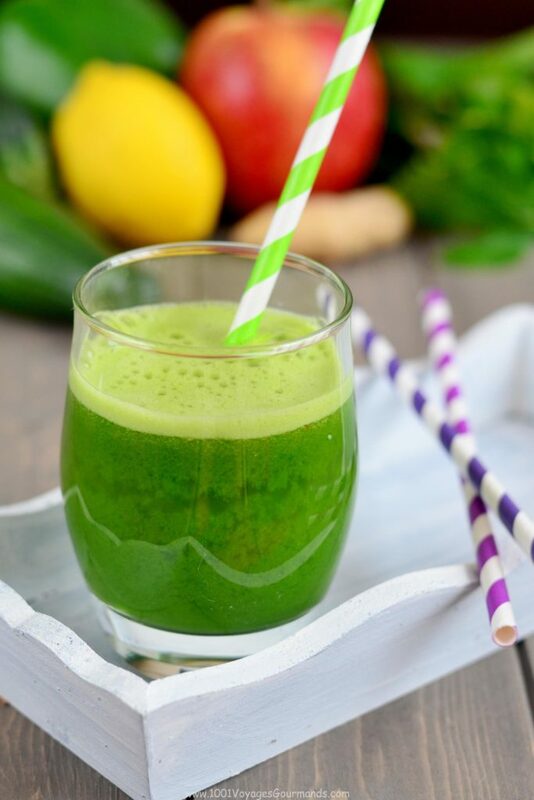 The green juices are my favorite detoxifiers – they might look not that tempting as the creamy pinky or orange smoothies, but that does not mean that they are not tasty – do not be adfraid of these! They are full of vitamins and minerals, they clean your body and supply it with energy that is often in deficit during the winter months. You need a juicer, and then you can throw whatever you feel like. I have tried many recipes, but after Spinach & Pineapple Juice, this is my second favourite one: Cucumber-courgette-spinach-green bell pepper-celeri-apples-ginger-lemmon. 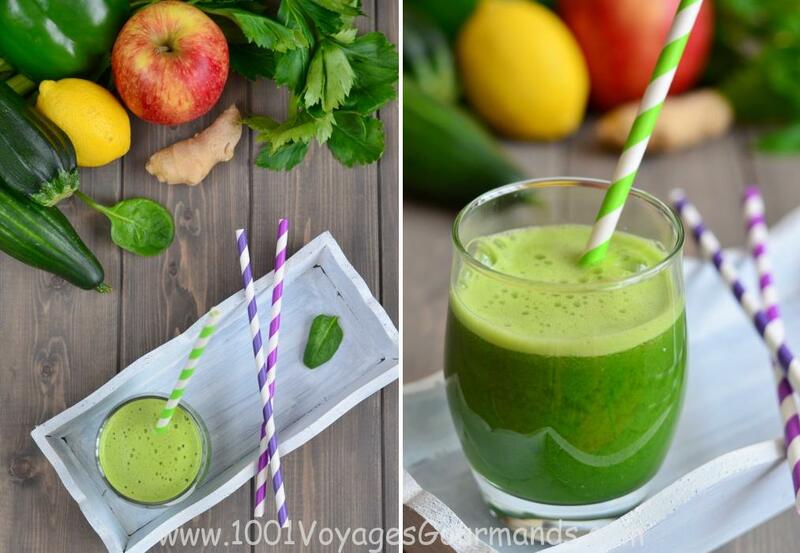 I have adapted this juice from the book Bar à jus by Vibeke Blomvagnes. 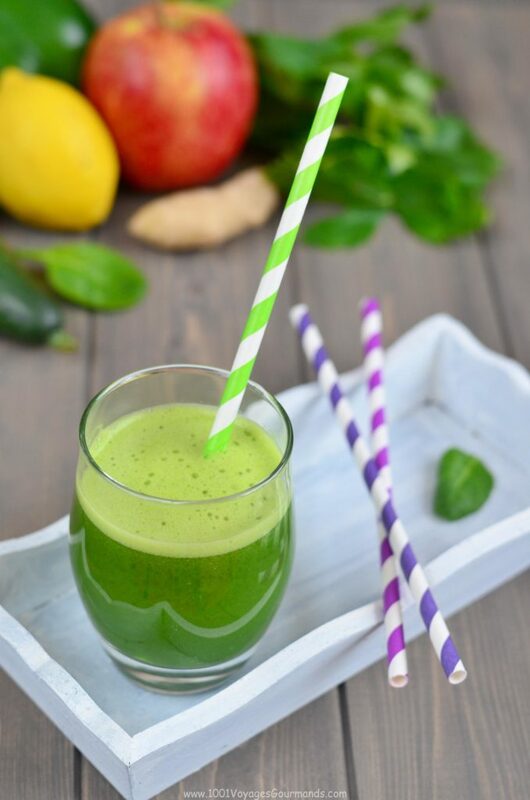 Green detox juice made of cucumber, courgette, pepper, spinach, celeri, apple and ginger cleans your body and supplies it with vitamins and minerals. Wash carefully all the ingredients and peel the ginger. Cut all the veggies and apples into smaller chunks that can enter easily the juicer and throw them in, remember to insert spinach and celeri leafs in between the other large chunks. Collect the juice and add juice from ½ lemmon, mix well with a spoon and serve. Tip: In order to enjoy better the juice, it is good to use the veggies from the fridge, otherwise you can add few ice cubes.